Australians enjoy eating meat for breakfast, lunch and dinner. It is important that your food or hospitality business caters for this cuisine. To help your serve delicious minced meat that has been grinded to perfection, our leading European made mincers have been designed and crafted with stunning features. 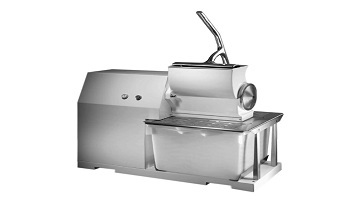 For the best commercial meat grinder or mincer, visit Brice Australia. Access control systems help keep your organisation in control of your guests and customers. We stock turnstile systems, entrance and exit barriers, partitions and access control systems, that have been designed and manufactured to perfection. Finding the most appropriate commercial meat slicer for your organisation should not be difficult. Whilst there are many options to choose from, including manual meat slicers through to fully automatic commercial meat slicers, there will be a meat slicer that will satisfy your needs, goals and budget. 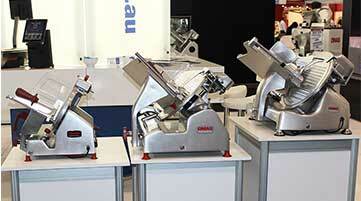 For the best commercial meat slicers, look for precision cutting, strong performance and ease of operation. During the busy periods of your business or not-for-profit organisation, you want to rely on a commercial meat slicer that performs well all day and gives you complete control. We stock the following types of slicers that cover a suite of operations: belt-driven, gear-driven, vertical, semi-automatic, fully-automatic, and traditional/vintage. Commercial kitchen equipment are essential tools in any food business. To deliver quality food to customers, clients depend on reliable and effective equipment. Before you invest in commercial kitchen equipment it is essential that you consider your needs, your business and the output you need to deliver. 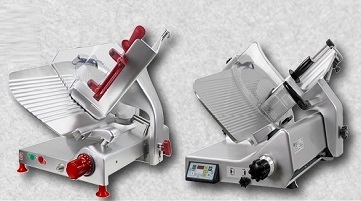 A commercial meat slicer is an important piece of equipment in any butcher, delicatessen, restaurant, or pizzeria. Slice meat to perfection with a fully-automatic commercial meat slicer that not only slices the meat but stacks or shingles it according to your specifications. As a leading commercial kitchen equipment supplier, Brice Australia has a large network of customers that rely on quality instruments. We understand what our clients want and endeavour to source well-made, innovative and high-performance models that will enhance our client’s operations. What is the Best Meat Grinder to Buy? Meat grinders are essential meat processing equipment for supermarket, delis, butchers, pizzerias, restaurants, residential kitchens and commercial caterers. The products we stock have been designed by dedicated engineers to ensure that the operator can maximise the output with minimal work and wastage. Slice meat quickly with precision using a semi-automatic or fully automatic meat slicer. For those who operate a deli, butcher, restaurant, pizzeria, or café, a commercial meat slicer will save you time, minimise meat wastage and allow you to serve more customers. 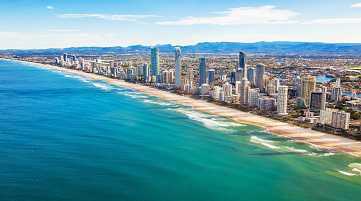 Brice Australia is happy to announce that we will be showcasing our range at the upcoming Metcash Expo in the Gold Coast. A commercial meat slicer makes slicing meat easy. Whether you are slicing the meat for sale or using the sliced meat for a dish you are about to serve, increase productivity and precision and invest in a slicer that boasts features including an inbuilt sharpening device, a robust construction for easy cleaning and safety mechanisms that provide a safe and efficient operation. When searching for food equipment suppliers in Melbourne, Australia look for a company that sells leading high quality commercial equipment. For peace of mind insist on a company with excellent after sales support service and a wide range of supplier genuine spare parts. 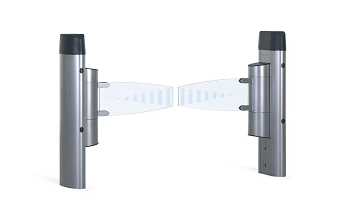 As retail shopping in Melbourne advances into the new age, the electronic eGate system, one of the most advanced access control systems, can be easily set up in your venue by Brice Australia. Known for their up-to-date hospitality equipment and access control systems in Melbourne and nationwide, Brice Australia can offer a complete and customised access control electronic eGate system solution for your commercial outlet in Melbourne. Where to Buy a Meat Mincer in Melbourne? Meat mincers are a popular kitchen item in Melbourne because they create fresh minced meat which can be used in hundreds of popular Australian recipes; pies, sausage rolls, sausages, hamburgers, pastas, patties and more. Buying commercial kitchen equipment from a reputable supplier allows you to make enquiries, make an informed decision and have peace of mind with your new purchase. Members of the food and hospitality industry understand this and know that it is important to select the finest equipment. The latest models, with superior technology, will help its user to create and make delicious food, cause less wastage from the ingredients used and allow various types of meals to be served. Where to Buy Commercial Kitchen Equipment in Melbourne? You have made a significant investment in your commercial kitchen. You think about the success of your business day and night. It is not worthwhile compromising the enjoyment of your livelihood by purchasing less reliable and effective equipment. Continue to grow your business and dominate the industry by heading to a company that has been specialising in the distribution of European made commercial kitchen equipment since 1939. Where to Buy Cheese Grater in Melbourne? A cheese grater is a versatile piece of equipment that is a staple in any commercial kitchen. Whether you want to cook something sweet or savoury, a cheese grater not only grates cheese but various other ingredients such as bread and nuts. These graters are ideal for use in restaurants, canteens, community centres, delicatessens, pizzerias, and commercial kitchens. How Much Do Access Control Systems Cost in Melbourne? In the modern world of retail in Melbourne, access control systems are essential customer management equipment. We stock leading German designed and constructed access control systems that have been created with space, elegance and operability in mind. In partnership with Wanzl Metallwarenfabrik GmbH, we are able to distribute these systems that have been used throughout the world in various retail environments. 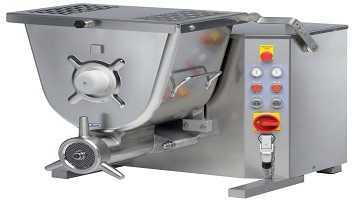 Where to Buy Commercial Meat Processing Equipment? Commercial and industrial meat processing equipment is the safe, reliable and easy way to prepare meat ready for the cook in Melbourne. 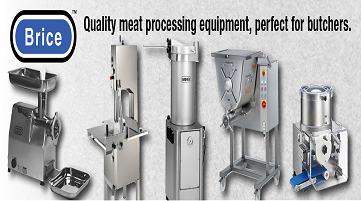 Saving time, effort and cost, meat processing equipment ensures that less wastage occurs, demand is satisfied and that there is consistency in the preparation of the meat. Calling restaurants, delicatessens, supermarkets, caterers, in-house kitchens and other esteemed members of Melbourne’s food and hospitality industry! 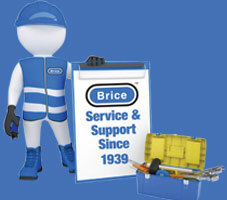 If you sell food products or prepare food, then you should have us, Brice Australia, at the top of your list of contacts for food equipment suppliers in Melbourne. Whether you are serving a meal to a customer or slicing up meat for sale in your butcher or delicatessen, you know that perfectly cut meat shows elegance and quality. Whilst there are a lot of commercial meat slicers available in Melbourne, few offer precision cutting ability on a continuous basis. Whilst there are many suppliers of commercial kitchen equipment in Melbourne, only some offer a diverse range of products, high quality products, and service and support. Suppliers with extensive knowledge and experience will assist you to find the right product to suit your requirements. Where to Buy Vegetable Slicer in Melbourne? A vegetable slicer is an important piece of equipment for those preparing food in either a domestic or commercial environment. Whether you need to slice, julienne, make French fries or matchsticks and perform waffle cuts, we stock, sell and service French-made mandolines and slicers that are versatile and built to last. Our scales offer more capabilities than weighing and pricing. For retailers, our scales can display promotional information, informative descriptions and advertisements. For warehouses, our scales are portable and they will totalise cumulatively.